This incredible property is being offered as a prime destination for a center of rehabilitation. The previous occupants provided 21 beds to benefit those in need. A magical environment to nourish the soul & inspire the mind. Behind these gates, a glorious oasis unveils. Mesmerizing 1.3 acre estate provides solitude and a haven for reflection & rejuvenation. Massive circular drive & 3 – car garage accommodates 20+ autos. Nearly 5,700 sq. ft main house & a detached 1-bedroom guest house. 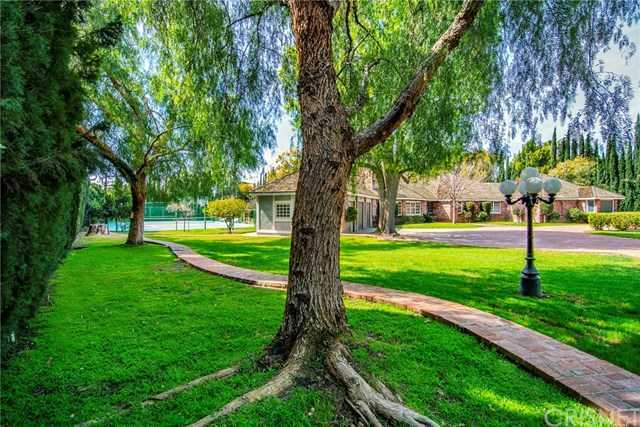 Majestic trees, lighted tennis court, pool, soothing spa, fireside conversation & grassy badminton arena creates a resort-like atmosphere you 8217;ll need to see to believe. This is truly that one special property you won 8217;t want to let slip away. Come explore these enchanted grounds while this rare opportunity still exists.